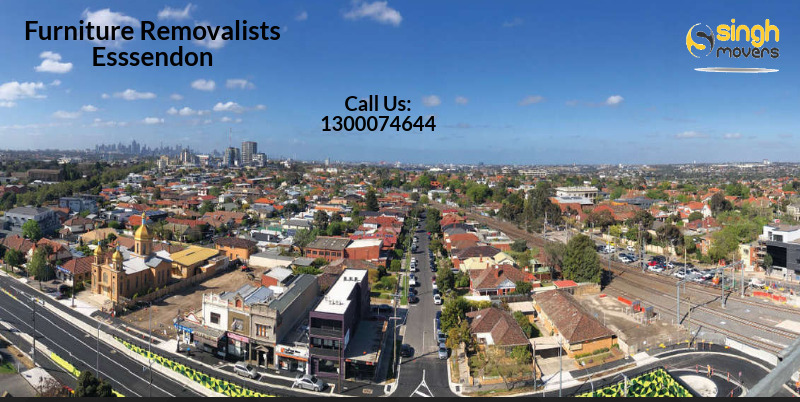 We are the Removalists Essendon who are specialised in providing different types of removals and storage services to the Essendon residents. We provide the safe, secure and cheap removals to our clients. Essendon is a suburb of Melbourne which is 9 km north west of Melbourne’s business district. We, Singh Movers, provide services to almost all the suburbs of Melbourne and Essendon is one of them. Singh Movers are the Friendly Moving Men whom you can fully trust and rely on. We know you are in the dilemma of whom to hire for the services but after you will have a look at our quote including all types of services and cheap rates, you will eventually hire us without any doubt. Singh Movers will work for you as the leading Furniture Removalists Essendon providing you with the quality work. There are many other companies offering the Furniture Removalists Essendon services but Singh Movers is well known out of all the others. So, the residents of Essendon you do not worry as Singh Movers is available for you to endow you with the quality Cheap Furniture Removals service. Door To Door Charges Only: We will only charge you for the door to door shifting as that is when the main process starts. No Fuel Charges: You will not be asked to pay any fuel charges as cheap Furniture Removalists will endow you with every possible facility that we can and will not charge you for any extra stuff. Professional Tools: Furniture Removalists of Singh Movers company treat their every customer as their family and get their work done with proper safety and using professional tools. 24*7 Support: We will solve your each and every problem. You can call or mail us at any time you want to as we are available round the clock for our client’s assistance. Singh Movers is happy to serve the residents of Essendon, Melbourne. Whether you are moving locally, interstate or anywhere, Singh Movers And Packers will assist you at every point. We are also known as the best Interstate Furniture Removalists Essendon and are ready to help you with the Cheap Furniture Removals prices of the fabulous service. With the Singh Movers And Packers Melbourne, you will be stress-free and will enjoy a cup of coffee with your family members as you will not have to worry for any type of work after you hire Singh Movers. We have successfully helped most of the Australians in the moving job as we provide them with the peace of mind and the amazing work of Furniture Removals. Movers And Packers Melbourne will eventually convert your Furniture Removals work from monotonous and tense to the ultimate easy job. So, do not think much and hire the Furniture Removalists Melbourne of the company Singh Movers. Why Are We The Missing Piece Of Your Care? Cheap Furniture Removalists: SINGH MOVERS is believed for their quality service at affordable prices. We endow our customers all the facilities at the minimum price possible. It is just our company’s motto to endow their customers with all the services at low-cost so that the prices won’t lay heavy on any type of customer’s pocket. ON-TIME SERVICE: Now this is a major doubt in every customer’s mind as many other service providers promise to shift the stuff on time but do not do so. But why SINGH MOVERS? Because Singh Movers is fixed with their timings and do not disappoint their customers. Our timely delivery will always put a smile on your face. SECURE TO MOVE YOUR BELONGINGS: Singh Movers can be fully trusted for the safety of the stuff as they plan, pack, and unpack the stuff using professional tools and by undertaking proper safety measures. Have faith on us and call us to hire for the Furniture Removalists Melbourne Services. Quality Furniture Removalists: We along with Furniture Removals provide many other facilities like office relocation, moving interstate whether an office or a house, storage facilities etc. Reliable Fully Insured Movers And Packers: Singh Movers is a company of Movers And Packers at whom you can rely upon for all sort of work as we do all the work by ourselves itself once you hire us. You do not need to worry at any point of the shifting process. We are fully insured removalists in Melbourne. Though there never happens any sort of trouble if sometimes it happens for the goods in transit, we pay up to $100,000. On the other hand for any harm to the public, we pay for the public liability around $10,000,000. Storage Facility: We offer our customers with one more important facility that is STORAGE FACILITY at SINGH MOVERS. So, if at times you do not want to shift all of your stuff to your house, office or industry, we have ample space for your belongings to be stored under CCTV SURVEILLANCE round the clock. So, be free if you hire Singh Movers And Packers Melbourne. Hire Singh Movers And Packers Melbourne and be free with whatever monotonous removal job you have as we are always available to endow you with the best possible service we can. Singh Movers has more than 10 years of experience in the field of FURNITURE MOVING. Essendon is a suburb of Melbourne, Victoria, Australia which is 9 km north-west of Melbourne’s business district. Its local governmental precinct is the City of Moonee Valley. According to the census of 2011, Essendon population was 18852. Essen don is bounded in the west by Hoffman’s Road, in the north by Keilor Road and Woodland Street, in the east by the Moonee Ponds Creek, and in the south by Buckley Street. Essendon and the banks of the Maribyrnong river were originally inhabited by the Wurundjeri clan. Essendon’s post office was opened on 18 August 1856. Essendon is serviced well by public transport and the lifestyle amenities. At Singh movers, you will find a streamlined and properly planned process that can facilitate with your every need, from the packaging and shifting work to the insurance and unloading of the materials to your new home. Whether you are moving around the corner, across the city, to a neighbouring suburb or an interstate move, Movers And Packers have the ability with the professional experience, expertise, resources and has Australia-wide network of local offices to ensure an easy relocation from anywhere to anywhere in Melbourne. In order to gain almost all the information, ask us for a free quote and we will provide it to you through the mail. Do not even hesitate to call our customer care executive team at any time to clear all of your doubts regarding the relocation and removal services. SINGH MOVERS is known well for its amazing work provided to thousands of Australians. You can even check our google reviews and the testimonials of our clients. We believe in providing 100% satisfaction to the client. We guarantee 100% satisfied results. For those worrying much for hiring any movers and packers, trust Singh Movers Melbourne and be free from all the hustle and bustle and stress of the moving work as we will do all the required moving job with our team members. Once you will hire our services, you will eventually recommend us to your near and dear ones. Our affordable and quality work will surely win your hearts. Our head office is in Melbourne and Singh mover’s offices are spread in other cities as well like Sydney, Brisbane etc.